The YWCA TechGYRLS Program empowers young women ages 11-14 through education and exposure to robotics technology and promotes continued involvement in science, technology, engineering and mathematics (STEM). This program makes it possible for girls to experience “hands-on” computer programming and physics, along with building and operating autonomous robots in an environment that promotes participation and learning. We use the latest LEGO® MINDSTORMS® Education EV3 Technology. We currently offer TechGYRLS Robotics as an after school program in five school districts: Greensburg Salem Middle School, Jeannette McKee Elementary, Monessen Middle School, Ligonier Valley Middle School, and Yough Intermediate Middle School. All Robolabs conclude with a “Robo Expo” for the girls to demonstrate their working robots to friends and family. When the girls have completed Robolab I and Robolab II they have the opportunity to be part of a competition team sponsored by FIRST LEGO League (FLL®). Introduction to object-oriented programming and building robots. Builds on the skills learned in Robolab I. The girls are given specific challenges with specific tasks. This prepares them to be on the Challenge Team. 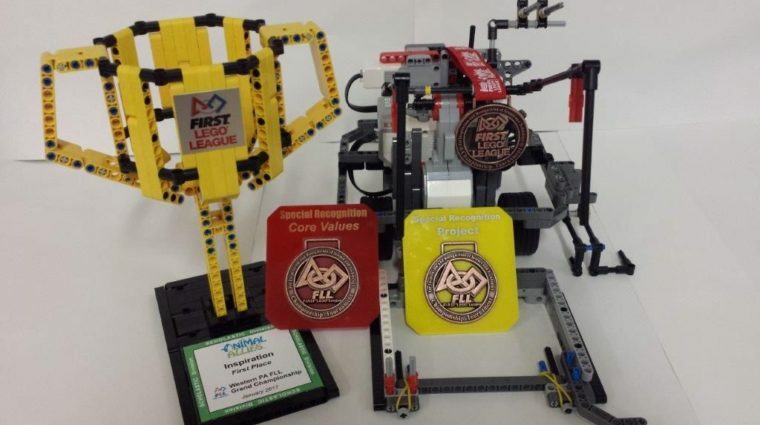 Some of our schools compete in the FLL® (First Lego League) competition each year. The girls prepare for this in the Fall and the competition is the following year in January or February. We offer a one week summer camp on our site at the YWCA, 424 N Main St, Greensburg and our school sites. For more information please contact Gina McGrath, YWCA Technology Director. 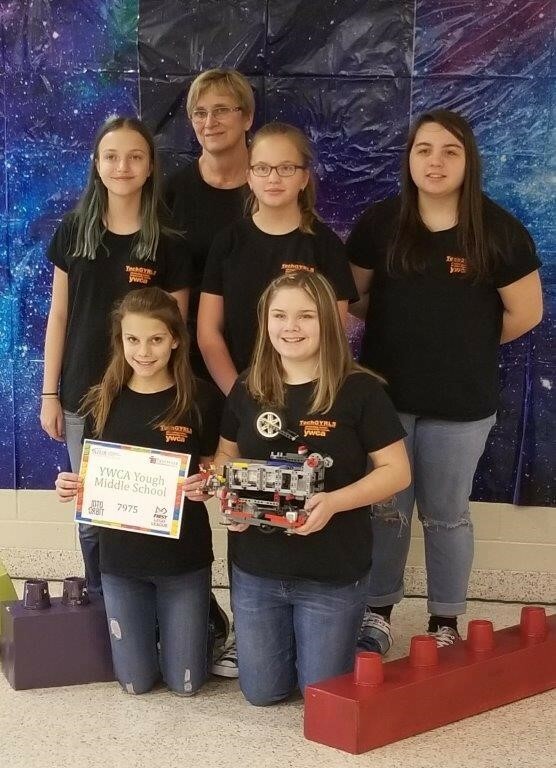 Yough Middle School YWCA TechGYRLS team took first place for FLL Core Values and Inspiration.